One Small Step to eBay? 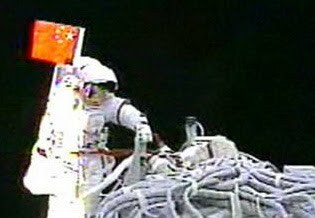 "The Chinese are going to the moon and they'll plant their flag up there and bring ours back down and put it on eBay." -- Ray Trapp, a longtime driver of the space shuttle's mobile launch platform, quoted in Air & Space magazine. Trapp was one of 14 people profiled in an article on the impact of the shuttle's retirement on Florida's Space Coast.